while preserving the live of those living next to us is the highst value. The significance of spreading Biodanza is the creation of a possibility to live together, truly, and to truly live, together. Our way of doing this is by creating the conditions: starting a school which will qualify more and more Biodanza facilitators, who in turn, would continue to create spaces for themselves and others. Spaces of true freedom in every city, neighborhood and family. The Northern School of Biodanza is open for Biodanzers who wish to combine an in-depth personal experience with theoretical knowledge as a means of personal development. The Northern School of Biodanza is open for people wishing to become facilitators, open new groups and continue to spread Biodanza in Israel and the world. The Northern School of Biodanza is recognized by the IBF International Biocentric Foundation, and is part of the recognized Biodanza schools around the world. Acceptance requires a personal interview (contact us) and participation in weekly groups. The certificate of a Biodanza facilitator is recognized internationally. For those wishing to become facilitators in the future, this course requires a personal supervision at the beginning after completing all the study modules and completing the assignments as specified in the official international guide. The studies for training in Biodanza include 30 theoretical-experiential units, 14 hours each, introduced by didactic facilitators. The students would be required to write a seminary paper and a monography on a subject close to their hearts. Studies for a facilitator’s diploma are 3 years long. Along the way Biodanza facilitators are invited to specialize in applying Biodanza to specific target groups or under special conditions like Biodanza for children, Biodanza in water etc. While there is only one system of Biodanza it has many applications and is open to new ideas. school of Biodanza. A Biodanza facilitator in Israel and all over the world since 2010, a certified (didactic) teacher since 2013. Rachely was born and raised in Quiryat Ono. Since 2000 she’s been living in Yagur with Guy and their three kids, Eyal, Yuval and Yaeli. Rachely is a holistic healer incorporating different methods. In 2004 her eldest son became ill. The personal experience Rachely had during the healing process brought on the understanding that life is the present of the present. “Live in the moment” suddenly became a tangible reality. To be blessed with the gift of life unexpectedly was a huge gift. To feel life in all its depth, to feel all the feelings and sensations is a must. And when everything is in synch – we meet the right thing for us. A didactic facilitator and director Of the Biodanza school, Moscow. We do not live alone. Allowing ourselves to grow, evolve and live a full life while preserving the lives of those living next to us is the highest value. 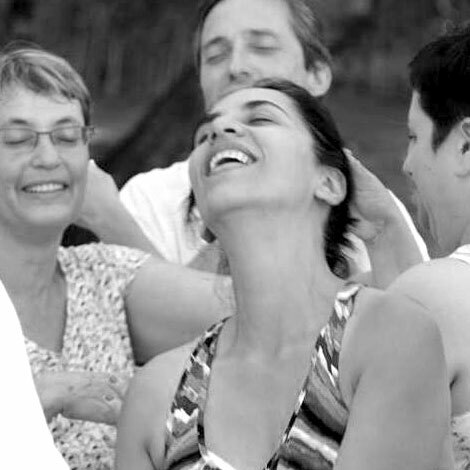 The significance of spreading Biodanza is creating a possibility to live together, truly, and to truly live, together. Our way of doing this is by creating the conditions: starting a school which will qualify more and more Biodanza facilitators who, in turn, would continue to create spaces for themselves and others. Spaces of true freedom in every city, neighborhood and family. Rachely, a Biodanzer for 9 years, graduate of the first cycle of the Israel School of Biodanza. A Biodanza facilitator in Israel and all over the world since 2010, a certified (didactic) teacher since 2013. Rachely was born and raised in Quiryat Ono. Since 2000 she’s been living in Yagur with Guy and their three children, Eyal, Yuval and Yaeli. Rachely is a holistic healer incorporating different methods.